Sometimes living with a special needs dog can be “ruff”, never mind preparing to take them hiking, backpacking or camping. 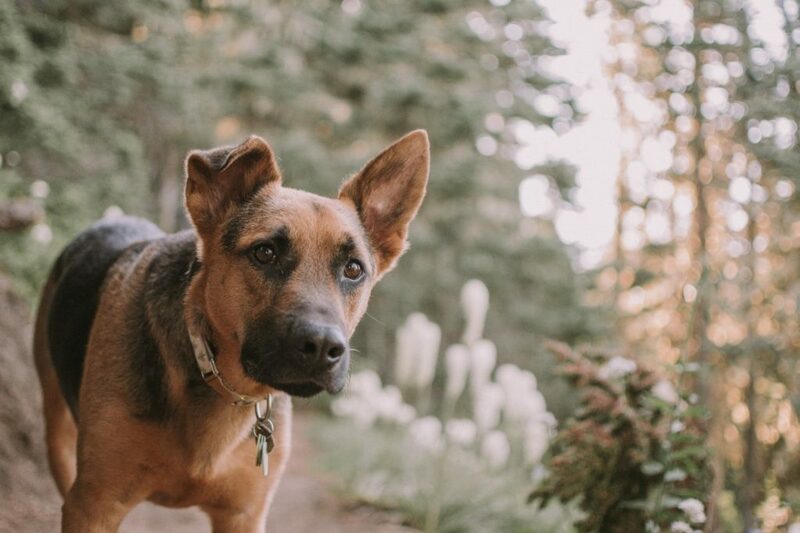 As the human to a special needs dog, Oliver a three-legged epileptic German Shepherd to be specific, I’ve compiled a few tricks and tips for having fun in the woods and mountains with your dog. There will always be naysayers that tell you to leave your dog at home but take my word for it – it’s not impossible! Don’t let anyone tell you that your dog must be a couch potato because of its handicap or chronic disorder – your dog deserves to enjoy the great outdoors! Your dog, like most other dogs I know, won’t be able to advocate for itself. As its owner, you have the duty of keeping your dog in mind when subjecting them to the elements. This is especially the case with a special needs dog and you need to keep in mind the specific needs of your dog. You should know your dog’s warning signs and be extra vigilant. Learn how to read when they are in distress – be alert and don’t overlook your dog’s attempt to communicate with you. This is the most important thing you can take away from this post. As appealing as it is to solo with your dog, it may be a wise choice to at least have two or more people along with you. If your dog should get injured and cannot walk back down off the mountain, you won’t want to be carrying him alone. I’ve carried a limp dog alone before and it was not easy! 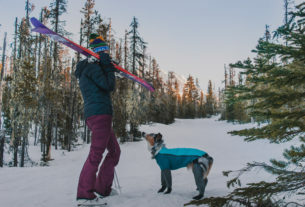 Have a game plan at the ready should you need to carry your dog out of the wilderness. As mentioned above, my dog has severe epilepsy. This means he needs medications every 8 hours to keep his seizures at bay. I plan ahead for any trip to make sure I not only have enough meds to get him through the trip, but extra just in case we don’t make it home at the time we planned to! I also like to carry a bandage wrap and extra dog booties just in case a small cut or paw pad crack happens. 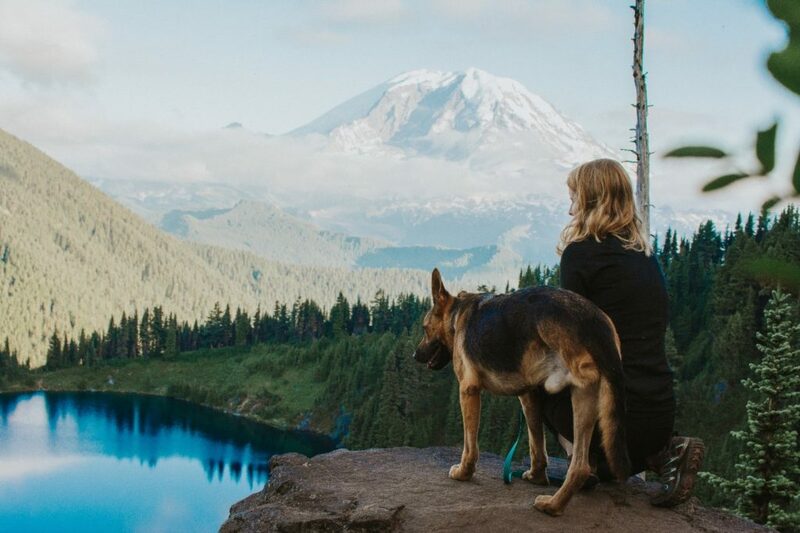 It’s tempting to want to do the hardest hikes with the most beautiful views to get that Instagram perfect photo of your dog but always be mindful of the mileage. Know your dog’s limits and don’t push them unless you’re doing it incrementally! Just like any other exercise, hiking/backpacking mileage should be built up to slowly. 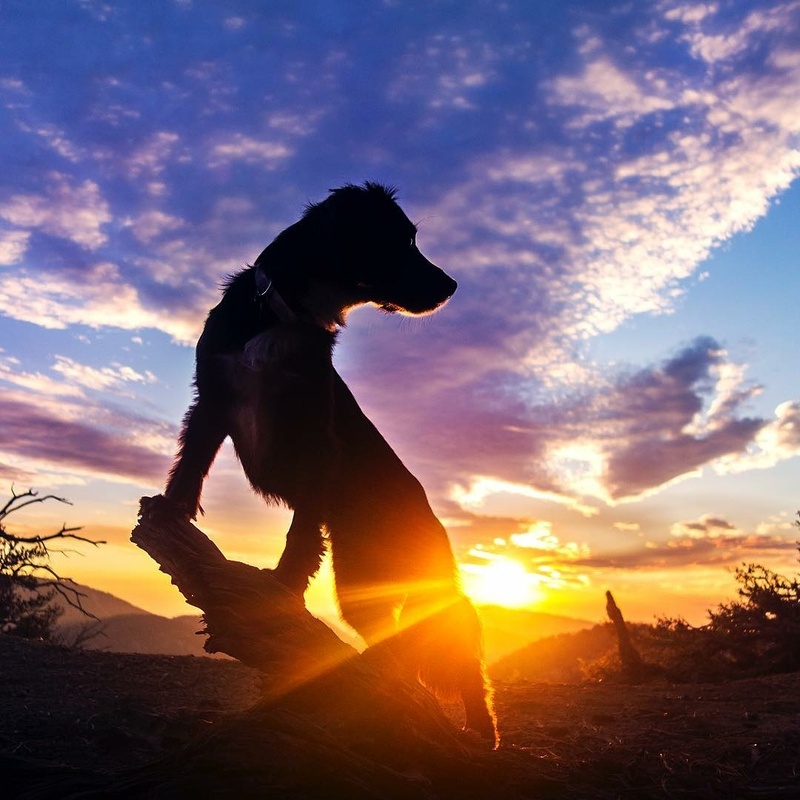 Always keep your dog on a hike length that is comfortable for them and caters to their needs. You’ll never regret bringing more water than is necessary. If on the way down, you don’t need it, feed the plants! More water is good water. Before sacking your dog up to backpack carrying his own poop, food, water and blanket, always consult your veterinarian to ensure your dog is physically capable of carrying weight. An average dog should only carry 10-12% of their body weight to start with. To save my dog’s hips and happiness on the trails, I don’t make him carry weight. This is a personal choice but always keep your dog’s ability in mind before asking him to carry extra weight and always consult your veterinarian. Sometimes it’s nice to go old school and print out the contact information/maps of the nearest ranger station and emergency vet in the area. You never know when you might need this information. Look it up ahead of time and be prepared to use it! Don’t be afraid to get going with your “handicapable” dogs. You’d be surprised at what they can accomplish, if you keep their needs in mind. Do you have a handicapable dog? Share your pics of your dogs on their adventures on and tag @dogsthathike – we would love to hear their story and see how far they have come! 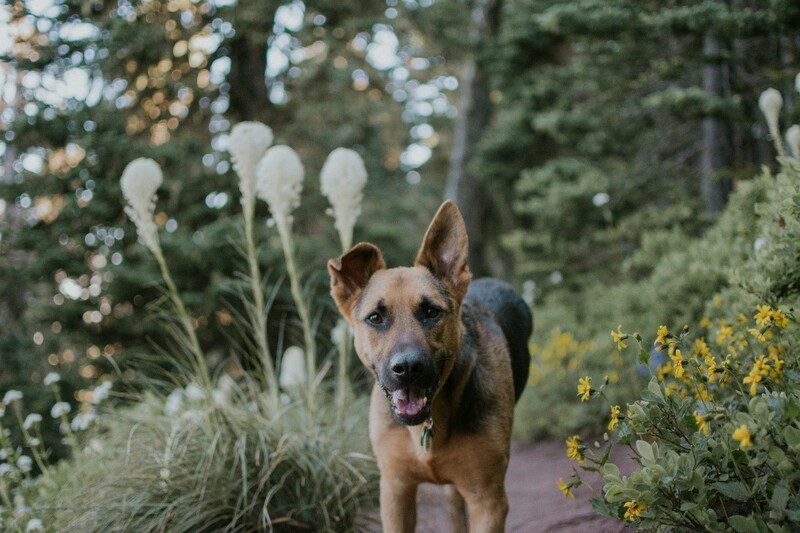 About the author: Heather and her dog Oliver recently moved from the PNW to the east coast (Massachusetts to be exact). Oliver is an epileptic tripawd (three-legged by a gunshot wound) who was rescued by the Seattle Humane Society. When he’s not too busy being really really ridiculously good looking he enjoys being outside with his humans. Check out our Explorer Oliver on Instagram @oliverthetripawd to see more of their adventures.